Need a quick after school snack? Try these Cucumber-Tomato Crunch Bites - they are simple, quick and tasty, too! 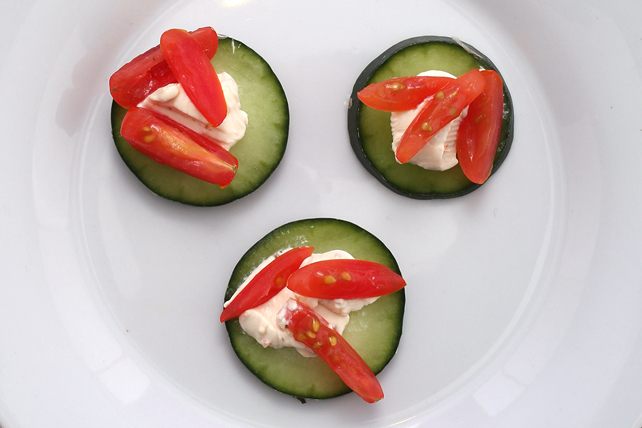 Spread cucumber slices with cream cheese product.